With our understanding of a home as an interdependent series of systems, we help identify the problems effecting the comfort, health, and energy-efficiency of your home. Best of all - we offer our energy audit for FREE! Contact us today to set up your whole house energy audit appointment. We proudly offer our services to Ohio residents. 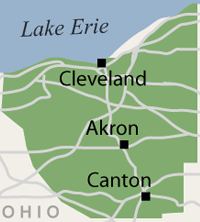 Our service area includes Cleveland, Akron, Canton, Lorain, Elyria, Massillon, Medina, Strongsville, Lakewood, Chagrin Falls, Hudson, Cuyahoga Falls, Ravenna, Bedford, North Royalton, Westlake, North Olmsted, Wooster, Painesville, Alliance, Kent, North Canton, Beachwood, Barberton, Willoughby, Gates Mills, Stow, Brunswick and surrounding areas. Dr. Energy Saver offers Ohio resident's a free whole house energy audit to find out how you use and lose energy in your home. Professional home energy audits typically can range in cost anywhere from $100-$500! Our whole house energy audit tests, evaluates, examines, and analyzes your home energy system. Our energy contractors use professional equipment capable of locating every energy weakness throughout your home, our blower door test is used to measure the air-tightness of your home. Our whole house energy audit inspects 10 objective areas of your home that does a whole 360 of the house. Our energy contractors inspect everything from attic insulation to basement air leaks. What's great about our audit is that it will reveal the most cost-effective improvement for your home; because what's most important in one home could have a different set of priorities in another home. Unlike subcontractors who specialize in one area of the energy saving field such as replacement windows and doors we offer our customers a comprehensive approach to home improvements. If your home's largest energy deficiency is air sealing we will focus on repairing that more than another area such as duct sealing or insulation. Your home's energy systems are greatly affected by what you do or don't to your home. For example, your heating and cooling costs rely heavily on how well insulated your house is and your insulation relies heavily on how well your home is air sealed. When one of our energy contractors visits your home for a whole house energy audit, thorough tests and evaluations will be performed using professional equipment, which help identify your home's energy weaknesses. We can then point out where your home is using the most energy and losing the most energy to prioritize your best energy saving opportunities for your home. What makes our energy audit much more sophisticated than competitors is our comprehensive approach. Our approach shows you - how your particular house is using and losing energy and prioritizes the most important energy improvements your home needs. Our whole house energy audit looks at all areas of your home, from garage insulation to duct leaks. Being a dealer of Dr, Energy Saver you can be sure you're in good hands; with a network all across the United States, our company has the most innovative and complete approaches to saving energy. A whole house energy audit done by our company will show you where your home uses and loses energy. Not only that, our contractors will give you a detailed report of where your best savings opportunities are. Many smaller subsidiaries and companies that offer home energy assessments often give incomplete reports. 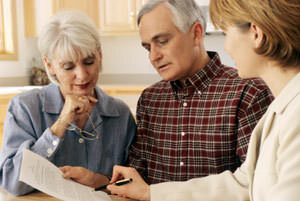 Many of these "energy audits" don't offer such a thorough and full approach that we do at Dr. Energy Saver. Receiving one of these incomplete energy audits to your home may actually wind up being a costly mistake. Say for example a smaller company who doesn't investigate your whole house, claims you need new attic insulation. If they didn't air seal leaks before insulating your attic space (because they didn't check during the audit) you'll wind up paying more down the road and worst of all your problem won't be fixed! In fact the insulation they installed won't be as effective and to get it done right you would have to go through the whole process again. You don't have to worry about receiving incomplete home energy audits with Dr. Energy Saver. We offer fully warrantied work, Free Estimates, free whole house audits and on top of that we're good people! If you would like to start saving money on your monthly utility bills and start making your home a more comfortable place to live, call us. Dr. Energy Saver is your local energy saving company. Contact us today to schedule your free home energy audit or a Free Estimate on any of our services in Cleveland, Canton, Akron, Massillon, Elyria, Lorain, Strongsville, Lakewood, Chagrin Falls, Medina, Hudson, Cuyahoga Falls, Ravenna, Bedford, North Royalton, Westlake, North Olmsted, Wooster, Painesville, Alliance, Kent, North Canton, Beachwood, Barberton, Willoughby, Gates Mills, Stow, Brunswick.